The Google Play Store is constantly getting better and there's a new update for the app rolling out to Android users right now. 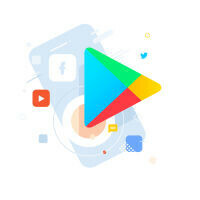 The new version of the Play Store, version 6.7, is focused primarily on making it easier for users to handle any Android app beta tests that they may be in or want to join. The primary change is that app listings now offer the options to join or leave a beta test directly in the app, making it far more convenient for users. Once you're in a beta test, the listing in the Play Store will note whether it is a beta version of an app or even if it is a private unpublished version of an app that isn't available to the public. Unfortunately, some beta tests still require that you going a specific Google+ community (this option is up to the developer), so you would still have to do that before joining the beta from within the Play Store. However, a possible change that would mitigate the need to join a G+ community is the option for users in a beta test to now leave comments for the developer directly in the Play Store. The UI looks just like a normal review for an app, but the comments for developers are only visible to the developer of the app. This is much easier than having to go search for the specific Google+ community URL. That's a big update then. No longer Google+ sh!t. no longer there. :/ the beta opt-in option.